The Manual of Braiding by Noémi Speiser is no longer out-of-print! On their website, if you click “LESEPROBE” directly underneath the image of the book’s cover, you can actually read/ see a 20-odd page excerpt from the book, including the introduction and the table of contents, which will give you a very good idea of its scope and approach. 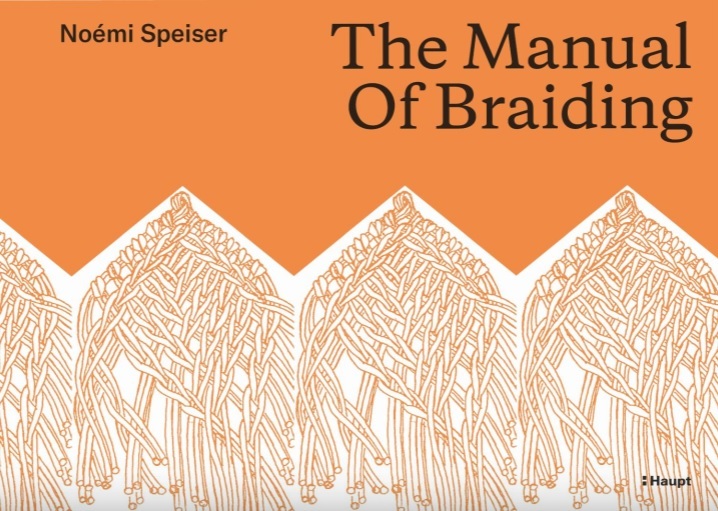 The Manual of Braiding is Noémi Speiser’s opus on braiding – it covers every braiding technique and tradition she was aware of in the 1980’s, more than any book has covered before or since. This book is not your average ‘how to’ book, it is like a college course on braiding packed into a tight format, including a cornucopia of pictorial information stuffed into the pages as well – brain-candy rather than eye-candy. There’s a whole chapter on loop braiding, though her later book Old English Pattern Books for Loop Braiding is more complete. I have an overview of both books on my “Old English Pattern Books for Loop Braiding” info page. Both of them have been out-of-print (and hard to find used) for several years. 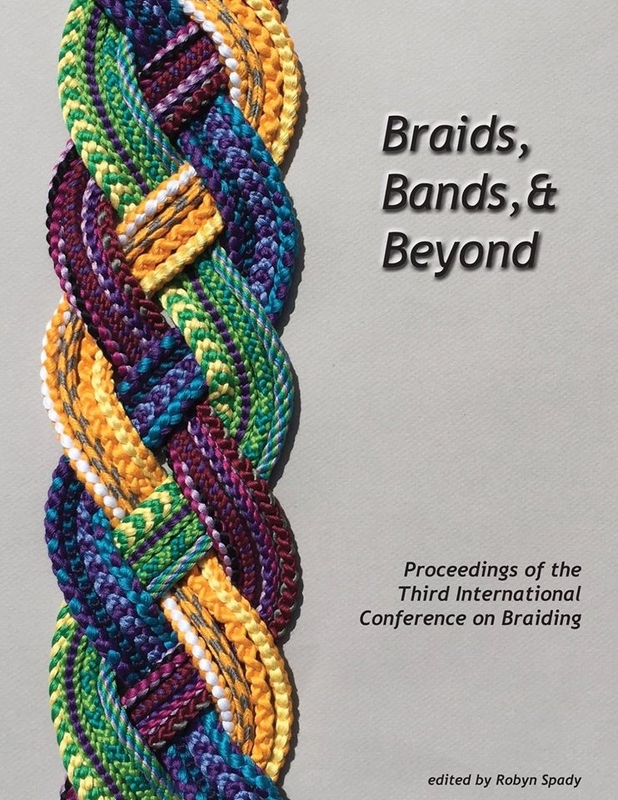 Maybe the Braid Society has already announced this reprint and I am way behind the times, but anyway I have to jump out of my blogging hiatus to share this! I’m crossing my fingers that Old English Pattern Books for Loop Braiding will be reprinted soon as well. A small addition since santa just handed over my copy: It is bound with thread, not glued as I feared. So it stays open very well already and won’t be damaged by it. Does plate 8 or the upper part of plate 14 have text in the older editions? It seems to be covered by something, wondering if this is a problem of the reprint. Thanks again for posting about this, can’t wait to dig in and have my brain melted. Happy holidays! Plate 8: Old Japanese braids. Left column and centre: A choice of old braids attached to Japanese swords. Top: Aya-Dai, the others Taka-Dai. The attentive reader will be able to identify them once he has studied the relevant chapters (15 and 19) thoroughly. Right top: Ota-san, a specialist on Naiki-Dai, works with a tiltable frame (chapter 17.5.). Right bottom: “Chuson-ji”, the reconstruction of the famous old braid by Domyo. Front and Side-view. (cf. 16*19 and 14.3.2). Plate 14 is titled: Japanese braiding. The transition from plain to extended plain interlacing with an interpolated area of ribbing. A close inspection brings forth one single cut end at the bottom of this lozenge: according to the laws a perfectly symmetrical flat oblique interlacing needs an odd-, whereas extended plain needs an even number of elements. Taka-Dai. You’re a treasure Ingrid, thanks. No other problems that I noticed. I did a braid with 11 warps. I can send photo and instructions if u like. I’d love to see it! – my contact form is in the drop-down under the “About” tab in my upper menu. The Book Depository has it. Thanks! That’s the lowest price I’ve seen yet! – ok, I just rechecked Amazon and someone else in the UK is now offering it for $44.95 and free ship, so the prices have been coming down a bit, good news. There should be less pricey alternatives. Thanks, Ferran, I don’t know why my Amazon search didn’t come up with it! I’m guessing the shipping is what makes it so expensive – according to B.A.T. in a previous comment the shipping from Europe to the U.S. is as much as 34€. What happens if you try shipping with Amazon DE or FR or …? I’m afraid I can’t try it right now. Amazon US should have it. Someone mentioned they’d bought it with prime benefits from Amazon DE. PS: later today I can send you a couple of photos of the actual book, if you wish. Ok, thanks, Ferran. I’ll keep my eyes open for it on Amazon, too – I did a quick search there under “Noemi Speiser” and didn’t see anything but the older out-of-print edition listed, but maybe I should have searched directly for the title itself. The publisher is from Switzerland not Germany The book can be ordered from all over the world The binding is hardcover If you click: ‘Sie haben Fragen oder …..schreiben sie uns ‘ you can ask any questions in english. Thank you! I will correct my post right away. And thanks also for how / where to direct an email on the publisher’s site. Uhm 12×8” of course, writing inch behind the centimeter numbers isn’t quite the same as converting. Just in time for giftmas, yay. It says about 30×21 inch and the pdf looks like they didn’t re-set it, so any difference is most likely just because of the binding. Not sure what exactly they mean with gebunden, normal hardcover probably, spiral binding would be mentioned for sure. Its a Swiss publisher btw, not German. They do deliver worldwide, 9€ or 34€ postage to the US (the book only 20g below the cutoff, not enough for packaging probably) and accept credit or debit cards. Great! Thanks for all the tips. Hmm, I hadn’t been planning on ordering one for myself since I already have the old edition, but if it this one is hardback I am a little tempted to get a second copy!